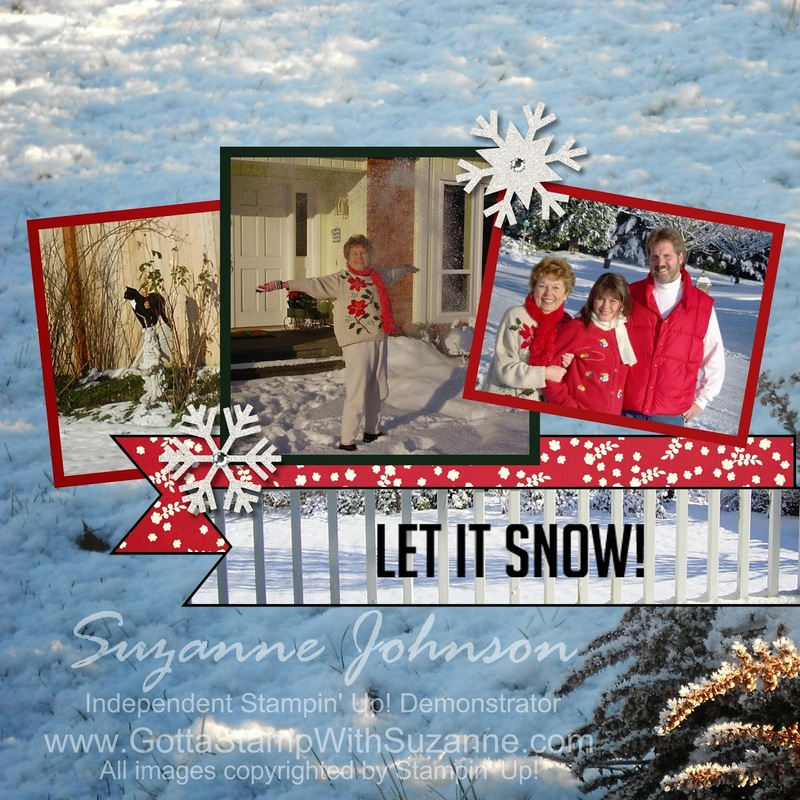 GOTTA STAMP WITH SUZANNE JOHNSON: DIGITALLY CHALLENGED - IT'S A GOOD THING! I'm here on another of my California visits at my Mom's and this time I didn't bring any Stampin' stuff with me...although she has quite a bit it is mostly retired and just not inspiring me what with my excitement about the new catalog and my pre-order waiting for me when I go home in June. 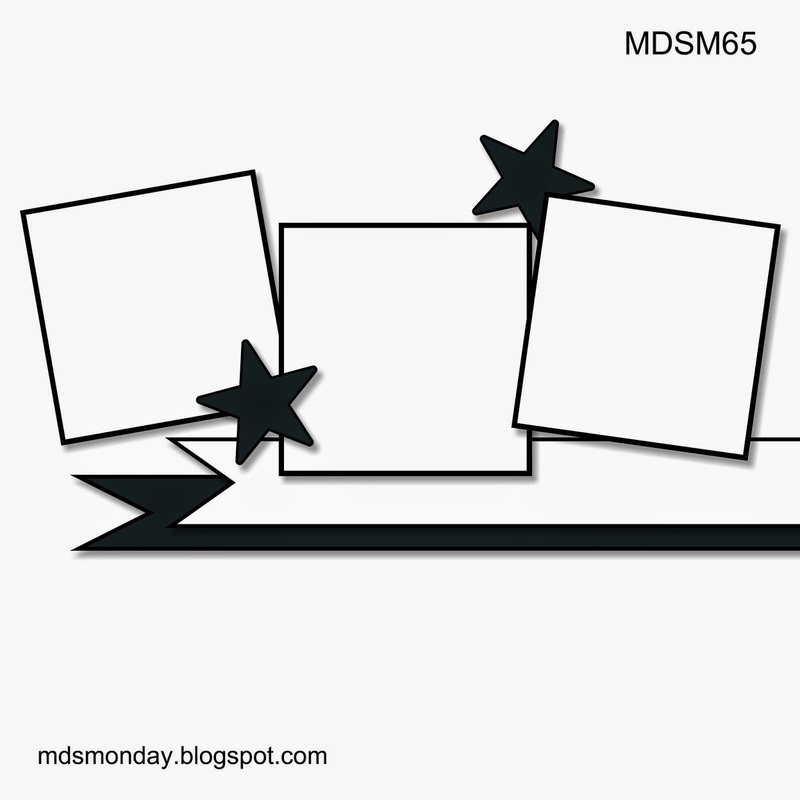 So...I was SO HAPPY to learn about the MDS Monday blog that is all about My Digital Studio challenges! 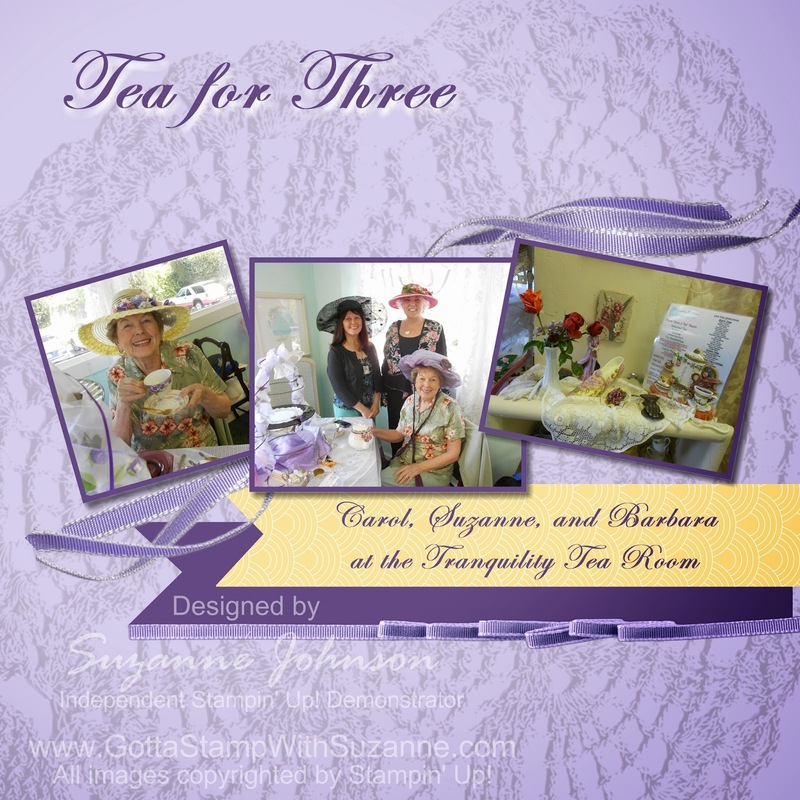 "Tea for Three" features photos taken at my Mom's and my favorite California tearoom, the Tranquility Tearoom in Thousand Oaks. My Digital Studio elements include custom color background color, Vintage Overlays 4 overlay DSP (as a page layer, cropped, enlarged & recolored, opacity reduced); Concord Crush Taffeta Trimmings (resized & cropped); Comfort Cafe Banners, one filled with Pocket Full of Posies DSP 11. "Let it Snow!" shows off snow we had in Washington at Christmas time a few years ago. I caught my neighbor's cat perched on top of my garden fairy statue and snapped the photo on the left. (My cats are all-indoors). Look closely at the center photo and you will see the snow my Mom playfully tossed in the air! My Digital Studio elements include use of my own photo as a custom background, Snowflake punches filled with Silver Glimmer Paper and embellished with Basic Rhinestones, Snowy Soiree Flag Punch, one filled with Holly Berry DSP and the other filled with one of my photos, and the phrase is from the Savor the Season kit stampbrush set. What beautiful photos on your tea room page! I love the lace and ribbon in the background. The colors in the photos of your snow page really pop. You coordinated your banners with they beautifully, and I love the photo in the banner too! Thank you so much for joining us at MDS Monday. Thank you so much for the lovely compliments, Heidi! I am so happy to have learned about the MDS Monday challenge and I look forward to continuing to be inspired and motivated by future challenges! Suzanne you really met the challenge! I really love both pages but the snow one is just so great! Love that you used a photo as a background and in the pennant! Great photos in both pages, the Tea for Three photo with all of you in your hats is really fun. 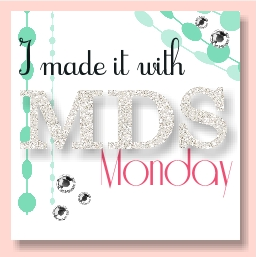 So glad you joined us at MDS Monday this week! Thank you Beth! I so appreciate your compliments and comments. I'm also glad I discovered and joined in with MDS Monday! Tara, thanks so much for your comments! 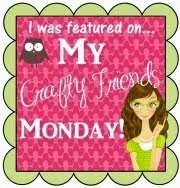 I am also so happy I learned about the MDS Monday blog challenges - they are really getting my juices going!